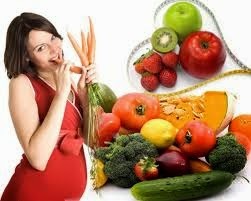 Every Pregnant woman wants to have a balanced diet for both, during the most important phase of 36 weeks. Unbalance and low diet can cause of many complications during pregnancy period till delivery. Because during this development period baby’s mental and body health totally bound /depends on the mother’s diet. Deficiency of essential vitamins, calories, proteins, folic acid and minerals can create problems for your baby and as well as for you for the whole life. So, you need to improve your normal calorie diet per day. A pregnant woman needs daily 2200 to 2500 calories for the best health and mental development of her baby. Food rich in Proteins, Carbohydrates and Iron should the most important part of your diet during this period for both of you. Dehydration can lead to a lot of problems and complications in the future, consuming a lot of water and other liquids daily keep you and your baby from many problems. Unbalanced diet also can cause of weak fetus with lower immunity level, which can cause of miscarriage. Now you need to plan your pregnancy diet in healthy proportion very wisely. Excess of everything can create problems for your baby. As you need a healthy diet for this period, you should avoid and cut some foods from your list especially junk food, alcohol, beverages and cigarettes because nicotine, alcohol and caffeine can seriously harmful to the fetus and also dehydrate your body. Use only healthy foods during this trimester for a healthy and intelligent baby. There are varieties of Beans black beans, pinto beans, chickpeas. You can choose that have more fiber and protein. Protein is very important during this period. Beans also provide Fiber to your body and Fiber help prevent and relieve from some problems. Beans are a good source of Iron, Zinc, Calcium and Foliate. Eggs are a rich source of protein. Every Cell of Your Baby needs protein. The egg is rich in choline, which promote your baby's growth and brain health. Besides Protein eggs contain many nutrients in the form of fats, minerals (such as zinc and selenium) and vitamins A, D and some B vitamins, which make it a necessary food item during pregnancy. As eggs are high in cholesterol so avoid too many eggs but a healthy women with normal blood cholesterol can consume one to two eggs per day. Avoid using raw eggs because raw eggs can create problems for the digestive system of the Mother, which effects on baby’s growth. Potatoes &amp; Sweet Potatoes have a good quantity of Vitamin A and iron. This is very important for both the baby and mother. Vitamin A and Iron is essential for the lining of the eyes, respiratory, urinary and intestinal tracts. It is also essential for the lymphocytes or white blood cells that fight against germs. Potatoes are very helpful to nourish the baby in the womb. Water fish such as salmon, tuna, sardines, anchovies, and herring are very good source of Omega-3 fatty acids. EPA and DHA in Omega-3 fatty acids support the baby’s heart, brain, eyes, central nervous system, inflammatory response and immune system. Adding EPA and DHA to the diet of pregnant women has positive effects on visual and cognitive development of the baby. It is also very beneficial for the pregnant woman. The daily recommendation for the pregnant woman is 300 mg DHA &amp; 250 mg EPA. Nuts such as Walnut, almonds, peanuts are also a good source of Omega-3s, calcium and proteins which are so important for your baby's brain and growth. Almonds are antioxidants against cancer and very good source of calcium too. Whole grains are important in pregnancy because they are high in fiber and essential nutrients, including vitamin E, selenium, and phytonutrients. As Popcorn and Oatmeal are a whole grain and provide overall nutrients for both of you during the pregnancy phase. Milk and Yogurt are full of protein and a great source of calcium. This calcium is very useful for both the baby and Mother. Calcium is a vital nutrient for your baby`s bones and teeth. Taking a good amount of calcium is also very essential for maintaining a good health of your own skeleton as well. Daily recommended amount of calcium is 1000 to 1300 mg if you did not take enough calcium your body start taking calcium from your bones to fulfill the requirement of Calcium for your baby’s bones and growth. Deficiency of calcium can lead to Osteoporosis, which can cause loss of bone density. Meat is a rich source of high-quality protein and iron. High protein food helps in the development of tissues and cells of your baby’s body and brain. Use white and fat free red meat during pregnancy. Eat fully cooked meat and avoid semi cooked or steamed meat because there's a small risk of passing on bacteria and parasites from the meat for you and your baby that may be really harmful for your baby. Eating a variety of colorful fruits including green, red, orange, yellow, purple, and white fruits will ensure that you and your baby are getting a variety of healthy nutrients. Apples, oranges, apricots, bananas, grapes, guavas, mangoes, pears, plums, peaches, strawberries and watermelon are the best fruits during pregnancy. During pregnancy green leafy vegetables are the best source of many essential nutrients and vitamins. Asparagus, broccoli, collard greens, kale, spinach and Swiss chard are full of healthy nutrients and vitamins like A, C, E and K. Iron and folic acid in green leafy vegetables are really essential to provide blood to the baby to stay healthy in the fetus. You must need 250-300 extra calories daily in this trimester because in first trimester baby’s most important organs brain’s nervous system and spinal cord , heartbeat, eyes, hair, buds. Legs and arms start to develop. In this trimester increase wisely your meal size and quantity ,take six meals in place of three meals every day and must add Omega-3s fatty acids, DHA supplements, folic acid, iron, zinc and Vitamin C, E in your food. You can found this in egg yolks, corn oil, walnuts, yogurt, citrus fruits, green leafy vegetables, beans, sweet potatoes, salmon and sardines. You need also other vitamins for your own and fetus health. For this must consult your gynecologist for normal required quantity for you of any vitamin and supplement before taking it. Stop smoking and drinking from the first day, it can raise the problems for your baby like low weight, hyperactivity, problem in learning, attention and speech or even can cause of miscarriage. If you eat health diet in first trimester you can make this impossible. Vomiting and morning sickness in first three months can solve by using potassium in your food daily. Avoid oily or fried food. As you enter in 2nd trimester your baby need more energy for fast development and growth. During this trimester your baby’s brain development, muscles and core structural development and hair follicle growth have been starts. So in this trimester you need high nutrient food. Avoid to take more sugar and fats in this trimester, which can lead you in future with blood sugar. You must add more iron, fiber, folic acid, omega3 &amp; 6, vitamin A, K, B, E supplements, C (must drink 3-4 glasses of milk daily) and vitamin D to absorb the vitamin C. Food with these vitamins have positive impact for your baby’s weight and height. You can found Fiber in beans, rice, wheat, pasta and oatmeal. Deficiency of vitamin K may cause of severe bleeding. Leafy vegetables, liver and cured are good source of vitamin K. For other vitamins you can add almonds, dates, butter, fish, cheese, yogurt, liver, soya beans, cereals, yeast, milk, ground nuts, fresh vegetables, green veggies and fruits daily in your recommended diet. When you enter in last third trimester certain vitamins and minerals are still essential for a good health of your baby and as well as your own health. Because in this trimester the major organs (brain, body and bones), veins, spider veins, skin and growth of your baby have been finalized. You must need for yourself a lot of calories to deliver a healthy baby without complications. You need more calcium, iron, proteins, folic acid, and omega-3 fatty acid, vitamin D, E and other vitamin supplements. These supplements, vitamins and minerals (use 8-10 glasses of water daily) can make your delivery easier.